Looking for a corporate video production company? DVPR plan, shoot, edit and produce stunning marketing films, adverts for TV and digital marketing, display screen videos, corporate video content and conference films. These films are used to promote a range of different companies to global audiences. Speak to us today about our corporate video production services. Planned, filmed and edited by highly skilled video production professionals (many of our production team have been trained by the BBC), our films are full broadcast quality (filmed in 4K or full HD depending on the clients needs) and available to output in a variety of different ways, such as hosted on your website, on social media platforms such as Facebook, LinkedIn and YouTube, on DVD, and on dedicated display screens (such as BrightView and Samsung MagicInfo). Speak to us today to see how we can boost your brand reputation and image through film, or, you can see examples of our latest work in our portfolio. Our camera operators are proud to be members of the Guild of Television Camera Operators. Alongside the client we create a production plan so that the final film fully represents your company, its ethos and values. We then shoot your business film using the latest in camera technology operated by our BBC trained camera operators. Finally, your corporate film production will be edited in house, by our experienced video editors and colour grading artists. Whether it’s DVD runs of 1 to 1million, website videos, films for Facebook and YouTube, or even a looped film on a point of sale screen, DVPR films will completely engage your audience. 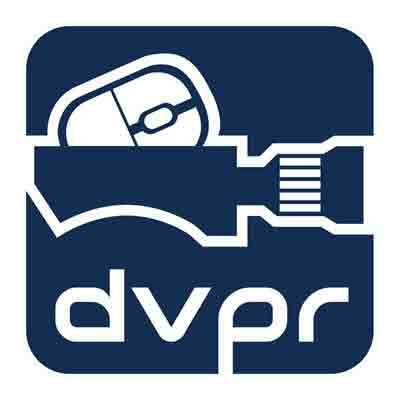 DVPR have years of experience traveling and filming around the world. We are happy to travel to our clients and often film in London, Manchester, Birmingham, Ipswich, Liverpool, Cambridge, Newcastle, Sheffield, Bristol and Leicester. We have also filmed for clients on location in throughout Europe (including France, Italy, Germany, Belgium and Spain), and also filmed extensively in Central America (Honduras, Guatemala and Nicaragua), Africa (South Africa and West Africa) and Asia (Thailand, Cambodia, Vietnam). Why not speak to us today about your ideas, and let us tell you more about how our corporate films filmed by our video production experts can set you apart from your competitors.